Can’t get enough of the Tiny Wings gameplay, but looking for a bit … more? 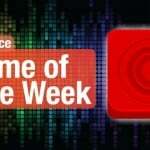 Well you can get it, with Time Surfer, our Game of the Week! So what is Time Surfer? You are surfing through the galaxy to outrun the end of the universe. 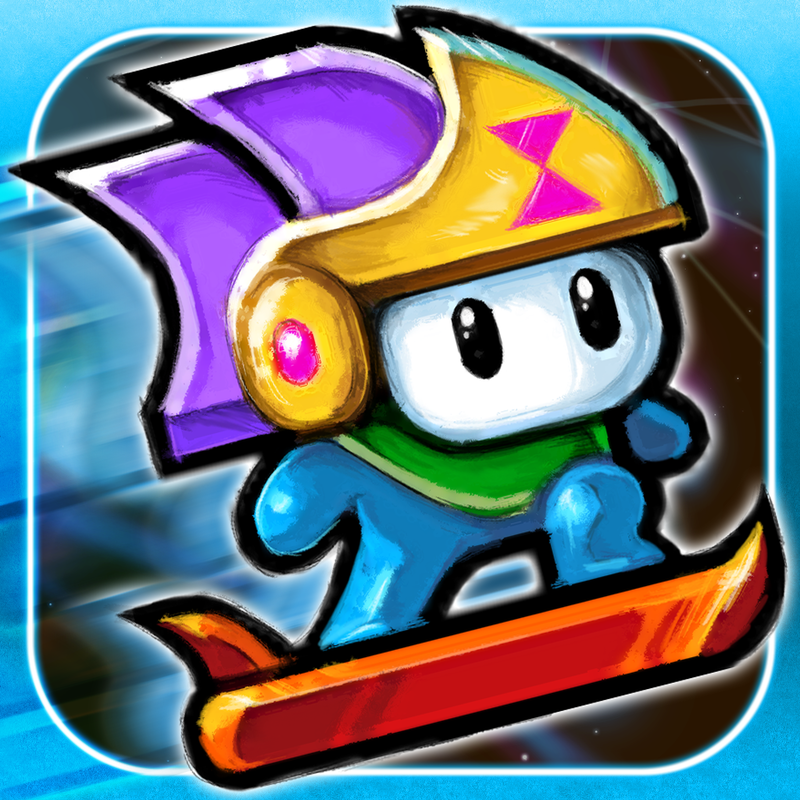 You will go up and down on planetary slopes, diving at the right time to gain momentum and speed. Watch out for spikes, falling off pits, and other obstacles, though, because they will slow you down or just kill you. So what makes Time Surfer different? You have the power of time! When you die, or make a mistake, you can rewind time to give it another try. To do this, just tap on the bottom left to go back in time, while the bottom right will allow you to dive (get those perfect curves!). Of course, you can’t do this forever — a meter at the top of the screen will show you how much you can rewind. The bar can be refilled by collecting purple orbs along the way, and there are other power-ups that can give you a boost as well. There are also pets that you unlock by completing missions, and these pets will help you out by giving you a head start, protection from spikes, and more. You’ll have to feed them space cakes (found flying through space) to keep using them, though. These cakes can also be used to purchase costumes and flair too. 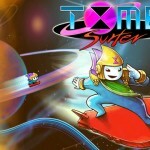 Time Surfer has beautiful graphics, fun chiptune music, and addictive gameplay. It’s definitely been keeping us busy at AppAdvice HQ, and we are sure you’re going to love it too. Make sure to get it in the App Store for your iPhone and iPad for $0.99. Don’t forget to check out my original review here. Have you ever wanted to live the life of a stunt man? Now you can, with Joe Danger Touch! This is the iOS version of the popular PSN game that originally came out in 2010. This game features incredibly smooth, beautiful 3-D graphics. The frame rate is quite impressive as well, going at about 60 fps. The character models, environments, and game menus look incredibly amazing. You will start out with Joe Danger, who is going on a world tour. You must navigate your way through events filled with obstacles and other dangers, while collecting coins, doing perfect moves, collecting bonuses, and even racing other opponents. Joe moves automatically, but it’s your responsibility to get him going, do jumps (and tricks), duck under objects, do wheelies to gain speed, avoid road blocks, and more. Controls are easy, and the game will walk you through new gestures for new actions when they are introduced. There are a total of 10 different locations for you to travel to, and each will have six events to complete. You unlock new tour stops by using gold medals you earn from events. Some bonus levels will require certain characters, so make sure to spend those coins you earn on unlock-able characters! 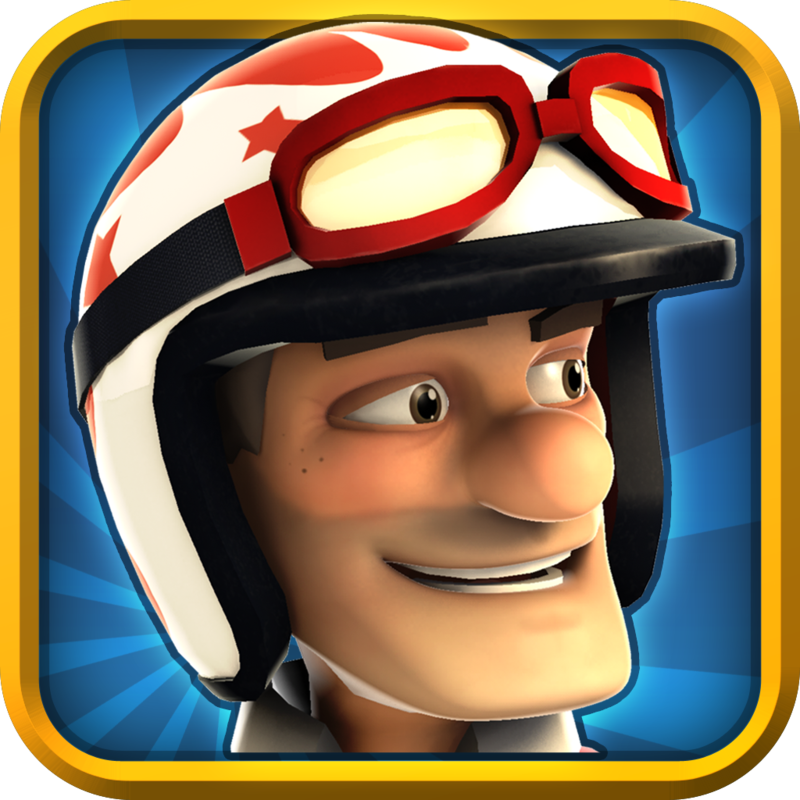 Joe Danger Touch is incredibly fun and addictive, and quite challenging as well. 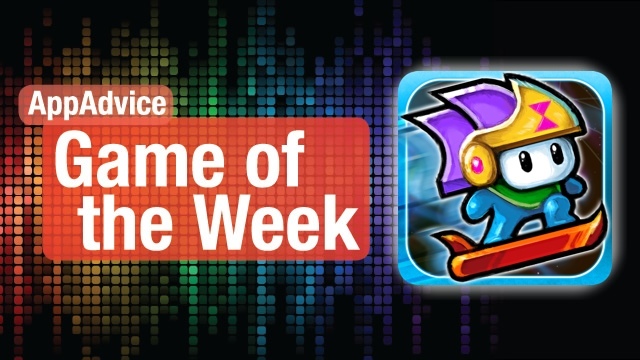 We have become quite addicted to this game as well over the past week, so make sure to check it out for your iPhone and iPad in the App Store for $2.99.